Home > Corporate > Is Augmented Reality in Training the Future of Corporate L&D? Is Augmented Reality in Training the Future of Corporate L&D? It’s hard not to…While most remember it as the highly addictive, location based game that took the entire world by storm, and had its fair share of ups and downs, there is something else it brought to notice. It brought people’s attention to this marvelous phenomenon that is augmented reality. 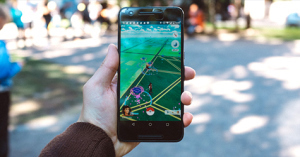 For most people, this was the first real contact with augmented reality technology, and the immersive nature of the game certainly intensified their game experience. It comes as no surprise that augmented reality is changing the face of the gaming and entertainment world. But what about Augmented Reality in Training? Is it possible to leverage this revolutionary technology to make new paths in the world of corporate training? Want to Know the 11 Secrets for eLearning Success? According to Wikipedia, “Augmented Reality is a live direct or indirect view of a physical, real world environment whose elements are “augmented” by computer generated sensory input such as sound, video, graphics or GPS data”. The term augmented reality originates from the word “augment” which means “to add something”. What this means is that augmented reality makes use of our natural environment and simply enhances it by adding virtual information on top of it, creating a harmonious link between the virtual and real world. It has numerous applications right from simple text notifications to complex step by step instructions or information and can be deployed through mediums like cell phone apps or other business applications. Augmented reality is making massive strides in numerous industries ranging right from the field of medicine to the tourism industry to education. Augmented reality helps highlight certain features of data, enhance the understanding of the data by the learner and provide easily accessible and timely information to the learner. These features are why augmented reality in training is gaining traction in the L&D world. Augmented Reality in training saves not only precious time and money that would be spent on planning and execution of training processes, but also enhances the training speed, making employees learn better and faster. Training on the job and retraining of employees is made much simpler by using augmented reality in training, as the immersive nature of the technology gives the learners the opportunity to experience situations for themselves, rather than just learning through passive observation. This leads to higher engagement and an increase in motivation. AR in training is able to provide remote employees with the same training experience as local employees, as through the AR technology, they can see everything that is taking place in a location other than their own, and are able to get a realistic feel of the training session .Training on a global scale is made much easier through the use of AR. Augmented Reality in training encourages collaboration between the employees to provide a better training experience. Since all the employees are seeing the same thing at the same time and in the same environment, they have more opportunity to interact and share their experiences and insights with their peers, improving relationships within the organization. Since augmented reality in training is still a new concept and not yet adopted by many companies, the ones who use it have a great advantage as they are able to train their team much faster and with more efficiency than the others. It means the workers will be better prepared to handle real life situations and adopt new technologies easily. AR in training simplifies complex training material by allowing learners to get a hands on feel of the situation. After all, we learn better by doing rather than just observing, right? 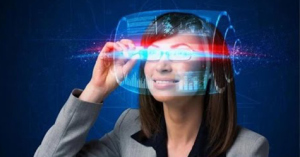 With all the research and development of the technology, and more and more systems being designed to facilitate AR like Google Glass or the Microsoft invention HoloLens, Augmented Reality in training may be well on its way to becoming the future of corporate L&D as we know it. If you are interested to know more about this amazing technology, we are conducting a Webinar on AR/VR in Training Courses on 6th September, 17 at 12 PM EST(GMT-4) . Saloni has 5 years of experience in the field of digital marketing particularly in content writing. She started out her career as a sales executive, after which she pursued her Master’s degree in Marketing and eventually found her calling in Digital Marketing. She has experience in both B2C and B2B companies and her knowledge of the sales field as well as the marketing domain give her a more comprehensive outlook on the fundamentals of the corporate world. I think that you miss the examples of actual implementation of AR in learning. For example, how to facilitate hands-on, collaboration etc. It is something which the whole world want to know regarding the function of augmented reality that is going to find out the numerous explanation for the user to understand the use so will help you out for making it easy to understand it. I think Yes, it is the future incorporate. It needs to be taken seriously and should be learned.